We’d love your help. Let us know what’s wrong with this preview of At the End of Darwin Road by Fiona Kidman. To ask other readers questions about At the End of Darwin Road, please sign up. What is the best book of hers to read, to start with??? ‘At the End of Darwin Road’ is a beautiful, must-read memoir from one of Aotearoa, New Zealand’s most treasured writers and taonga, Dame Fiona Kidman. This is the story of her early life, tracing a line from the scented orange groves and their property at the end of Darwin Road in Kerikeri, to similarly-scented Menton in France, where she writes the book in 2006, whilst on the Katherine Mansfield residency (and where she accidentally remarries her divine husband Ian, but that’s another story!). 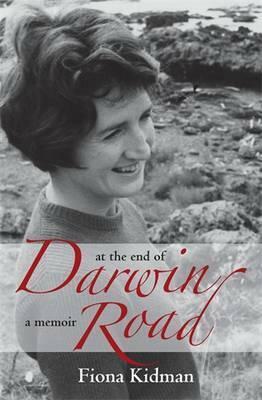 ‘At the End of Darwin Road’ is a beautiful, must-read memoir from one of Aotearoa, New Zealand’s most treasured writers and taonga, Dame Fiona Kidman. This is the story of her early life, tracing a line from the scented orange groves and their property at the end of Darwin Road in Kerikeri, to similarly-scented Menton in France, where she writes the book in 2006, whilst on the Katherine Mansfield residency (and where she accidentally remarries her divine husband Ian, but that’s another story!). "What I had yearned to leave, I sometimes wanted to go back to." A fascinating insight into Kidsman's early years. You can learn to love an author more, when they give you a view into their past. That is the case with this book.